ZipBooks is an accounting software designed for small business owners. This cloud-based solution enables users to track work hours and manage invoices, as well as provide insights and reports on their customers and competitors. In this article, we cover user reviews and pricing. Ready to get started with ZipBooks? Sign up for a free account. Users who gave positive ZipBooks reviews like its user-friendly and intuitive design. Some mentioned that their customer service team responds fast to queries. Users who gave negative ZipBooks reviews complained that it does not have an inventory tracking feature. They also said that it does not offer support for Android devices. One user who reviewed ZipBooks on Software Advice said that she has to use another program alongside this software just to track inventory. She added that she also cannot figure out a way to incorporate both systems to function together. ZipBooks has four pricing options: Starter, Smarter, Sophisticated, and Services. The Starter plan is free, the Smarter and Sophisticated plans cost $15 and $35 per month respectively, while the Services plan requires custom pricing and starts at $125 per month. 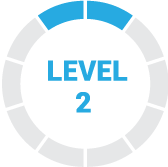 The main difference between the plans is access to advanced features, such as auto billing, among others. All paid plans come with a 30-day free trial. Ready to get started with ZipBooks? Sign up for a free account. What does ZipBooks’ free trial cover? ZipBooks’ 30-day free trial includes all the features of the paid plan of your choice. What does ZipBooks’ free account include? 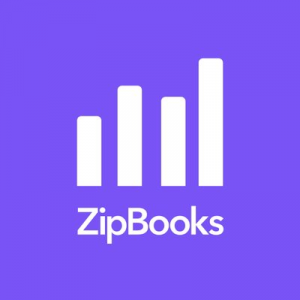 ZipBooks’ free account includes PayPal and credit card payment acceptance, business health and invoice quality scoring, a connection to one bank account, unlimited invoicing and bookkeeping, and a limitless number of vendors and customers. Not sure if ZipBooks is the right fit for you? 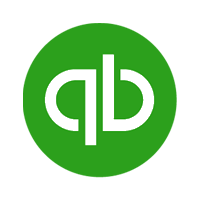 Read our reviews of all top accounting software providers or check out one of these three ZipBooks competitors. It has great tools when it comes to keeping track of our company, allows us to control the financial movements of the company without having to be an accountant, which allows any small company to have control over it. It has tools that are difficult to understand, so they can never be used, should include some guidelines for that kind of tools. I wish I had known about its many tools, it would have been very useful to know what kind of control and organization could be achieved through this program. I would like to see all the rates of this program and all the functions offered by your payment plans. ZipBooks is a helpful software for all my needs which are making payments and agreements with clients way faster. One of the things that I like about ZipBooks is that is very intuitive, it integrates with a lot of other softwares that I use like Google Drive and Asana, making the use of it more comfortable. I would say the mobile app needs a lot of improvement to be in the same level as the desktop version. That it was free! It is always great to find a free accounting software that works well. Only minor details in iOS functionality, which will likely be resolved as the app evolves. I would LOVE LOVE LOVE to see customer relationship management (leads, sales, marketing, etc) functionality built in at some point. This would mean one platform to rule them all! I love the fact that I can set up and send an invoice in a few minutes, pulling in existing products and services (complete with description). The addition of a time tracker was unexpected and very appreciated! I use it to keep track of the hours spent on certain projects with those clients that prefer hourly payment over per-project pricing. ZipBooks also allows for past hours tracked that are unpaid to be automagically pulled into a new or an existing invoice, making it super simple to make sure everything is included in an invoice before sendoff. The invoices are simple, clean, beautiful and there is an “include PDF” option when sending out the invoice to clients (for those that prefer to print out and save their invoices). The customer support is phenomenal — the support staff is friendly and helpful. I would love more documentation. There are things that are incredibly intuitive about the application, but there are also things that don’t make sense unless you know exactly what to do. The support team really help with that though, as they are always quick to respond.